Your company has committed to a major “transformation.” What does this mean, and where do you, as the CFO, come in? While I’m no expert on business transformation, I certainly confronted those questions when my company committed to transforming itself from a product-centric company to a services-led one. Our transformation requires changing our fundamental core. For decades, Ricoh Americas has mainly sold hardware – printers, copiers, and multifunction products that combine printing, copying, scanning, and faxing – along with repairs. With technology and the world around us evolving at a rapid pace, office equipment is becoming commoditized. We need to transform our identity – and our business – into a provider of valuable enterprise services. By services, we mean strategic ones like document management, IT services, workflow consulting, and other solutions that enhance a company’s ability to access and use its information to improve its bottom line. That means we need to dive deeper into analyzing and solving multiple business challenges for our customers. Suffice it to say I’m learning a great deal as we move through the multiple stages of our transformation. Hopefully, you can take lessons from my experiences and put them to good use in your company. Many of the transformation challenges are ones I saw coming. As a CFO, you would expect to have a major role in directing investments, managing costs and projects, restructuring and realigning operations, pricing new offerings, business modeling, and addressing other financially related areas. For example, it’s a priority to ensure that we have the right people, skills, and technology to staff a business that’s becoming more consultative. We need to train or hire to become adept at selling far-reaching, highly complex business solutions. All proceeded relatively smoothly through the first few stages of the transformation – until we came up against a challenge I did not fully anticipate. It was nothing catastrophic, but it became a critical turning point in our transformation. We realized the transformation was going to be a longer, slower, more arduous journey than we’d thought. We’d made a decision to transform, but the reality was not keeping pace with the vision. We realized our traditional ways of thinking and acting were more ingrained than we thought and were holding us back from transforming into a true services company. Although we believed we had changed, our sales were still dominated by office equipment. We were hardwired to our older business focus – not only in our systems and data, but in the way we approached meetings, reviews, planning, forecasting, contracting with the customer, billing … in fact, how we measured and thought about most processes. As we analyzed the problem, I realized that finance could play a bigger role than anticipated in helping drive change. As CFO, I had an opportunity to play a key role in the culture change. With this new focus, the first action was simple. Instead of kicking off our business-unit performance review meetings with analyses of hardware sales, as had been our tradition, we flipped it and focused on services activities. In many cases, we skipped hardware conversations altogether, knowing that the culture was poised to “snap back” to hardware centricity if we didn’t constantly reinforce our new focus. To really change the culture, we needed to do even more. We needed to look more deeply at what we measured – our key performance indicators (KPIs) — and determine whether any were driving “old” behaviors. You get what you measure, and it turned out that many KPIs were focused on and incenting the behavior of a hardware company. We looked deeper at our accounting, reporting and operational systems. We looked at planning, budgeting, forecasting, and business-unit reviews. In many cases, we had the right top-line metrics. But we needed to reset our operational metrics to measure activities that were, or should have been, driving our change to a services-led business. Additionally, we needed to set the metrics at a lower level – by that I mean the individual level – than we had in our traditional business. For example, our business units had revenue plans and quotas for services sales. To be sure, the business units were hitting their goals. But when we peeled the onion, we discovered that only a small population was actually selling services (and doing quite well at it). And even they were often working within the hardware sales cycle instead of focusing on any eligible prospect. In other words, the majority of salespeople were still focusing on hardware as they’d always done. So we added KPIs to measure the percentage of sales representatives who were successfully selling services, and now this number is steadily increasing. This was a critical factor in changing our mindset. After addressing sales and marketing, we proceeded to go through all of our back-office processes, including financial, customer administration, and logistics, and conduct the same types of analyses. We thought deeply about the data we captured and the behaviors we needed to drive. Adjusting our KPIs is helping us propel the cultural transformation that we and our customers need. If there had been any doubt about our commitment to full-fledged transformation, it disappeared when we started to measure services-oriented activities in every operational category we could. You now see evidence of the transformation not only in the metrics, but in our hallway conversations, our presentations, our sales, and the way customers, partners, analysts, and the media talk about us. The bottom line: Our services revenue has grown significantly since 2012. Although we’re not done transforming, we have essentially become a services company. And I’ve gotten smarter in the process. 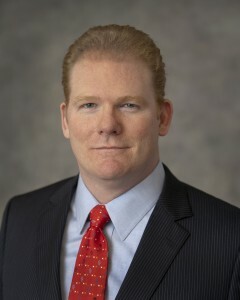 Gary Crowe is the CFO of Ricoh Americas Corporation. What Will the CFO Role Look Like in 2020?